Manage your collection of coins and notes. Download and consult catalogs of coins. Manage your collection and coins to sell, to buy, to exchange. Create your own catalogs of coins. Get in touch with all users looking for the coins you want to sell or selling the coins you are looking for. Share your coins with social networks. Search for coins by keyword. Premium license allows you to download all catalogs and to create the number of coins you want into all catalogs. Without license, a maximum of 25 coins can be created and only few catalogs are downloadable. Display your list of favorite coins. Search for coins by keyword in all catalogs. All catalogs you can download without PREMIUM license. You can access to all coins of a catalog by selecting first a catalog then a period then a coin. - When you are in the list of coins, this button allows you to create a new coin. Catalogs, periods and coins of official catalogs cannot be modified, moved or removed. You can add your own pictures of coins. A maximum of 5 pictures per coin is possible. 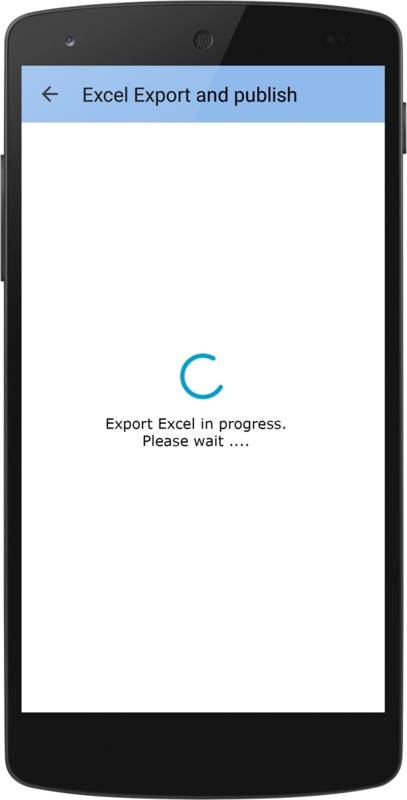 - An Excel file is created in the "Download" folder of your Smartphone. A zip file using the same name is also created. It contains all pictures associated to all coins of your catalog. To be able to manage your collection, you must first select a catalog and a period. Then you are in the list of coins of a period. In the bottom bar, select wich list you want to change : Collection, coins to sell, coins to buy, coins to exchange. Check the coins you want to change. Remove one coin or all coins. Select all coins of the current period. Display RSS feeds about coins and also frequent Questions/Answers. Create a summary of your collection, coins to buy, coins to sell, coins to exchange. Calculate a cost estimation. Share your list of coins to buy, coins to sell, coins to exchange with other users. Get in touch with all users looking for the coins you want to sell. Get in touch with all users selling the coins you are looking for. Get in touch with all users exchanging the same coins as you. Reset, save or restore your collection, coins to buy, coins to sell, coins to exchange. You can save this archive on MBC Cloud. 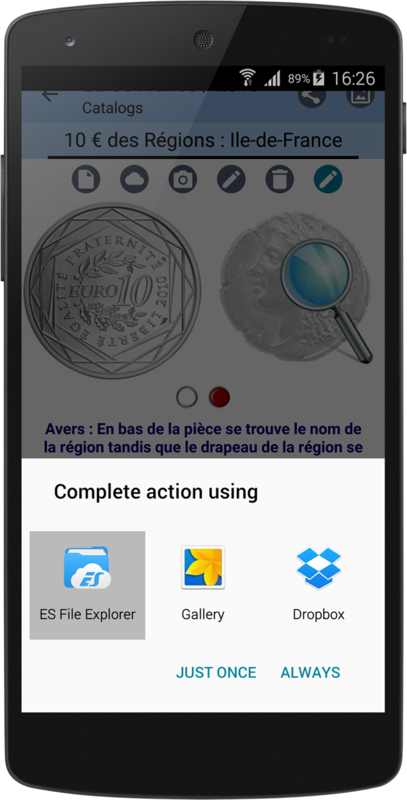 Then you can easily transfer your collection to another Smartphone or Tablet. Export your collection, coins to buy, coins to sell, coins to exchange and notes into Excel file. Define which SD-Card will be used to save all pictures of coins. Remove a catalog of coins you are not using. If you have an external SD-Card, use the function "Change the folder for coins pictures". If your device has an external SD-Card, you can use this SD-Card to save all pictures of coins instead of your internal memory. Open the left toolbar and select "Change the folder for coins pictures". Allows you to share a coin with your friends using one of the application available on your smartphone or tablet. For example, you can send a coin and its full description by E-Mail. You can search for a coin in all catalogs or periods. Fill-in a keyword and you'll get the list of coins using this word in one of coin's parameters.